Here we are in day four. I’m sure John & I are loving Calgary, but not as much as you are enjoying a Salsa/Salad post from Foodo EVERY day this week! 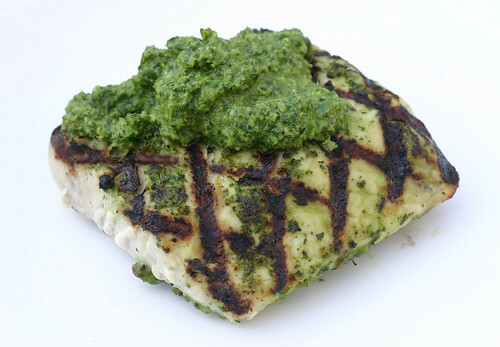 I also marinated the Shark Steak in some of the Chimichurri for an hour before grilling. This is good stuff. A great friend gave me his recipe last summer. oh huge fan of chimichurri sauce, it gives meats such an awesome flavor!